Twin screws also solve the get-home power dilemma. 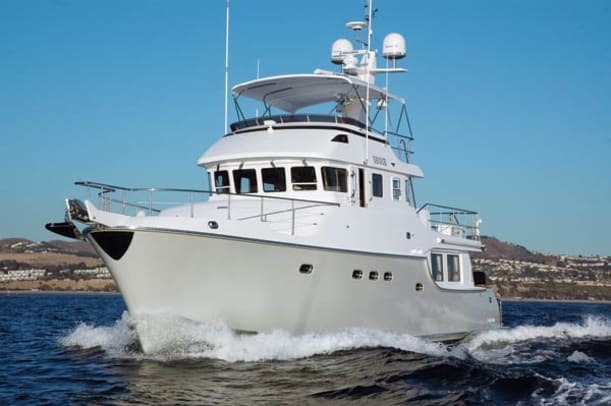 Single-engine boats usually have a wing engine and separate shaft for emergency propulsion or a means of powering the main shaft from a genset. Bray says, "To my mind a wing engine is hung out there looking to get hit." For get-home power he prefers a hydraulic pump on the genset, which can drive the main shaft. 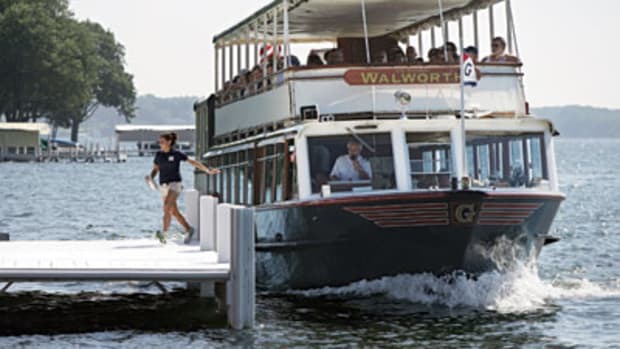 Others, including Leishman, choose a wing engine, since it&apos;s problematic to match the power of the genset with the power needed to push the boat; it usually results in a way-too-big genset or feeble get-home power. Twin screws solve all of this: Since displacement-speed power requirements are low, either engine can push the boat to cruising speed. 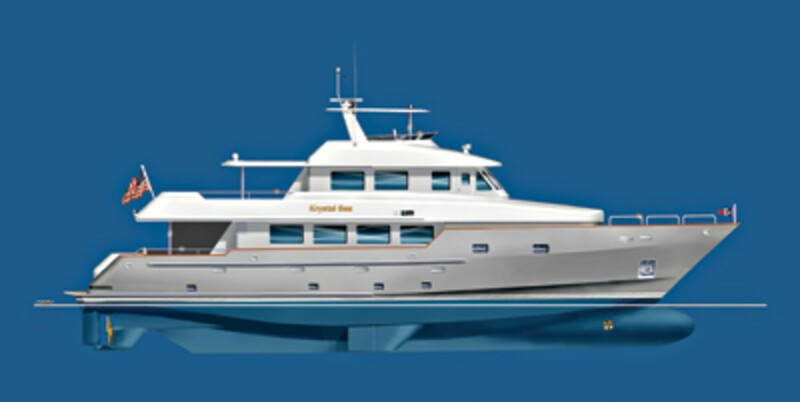 Patrick Bray’s designs, including the 125 Explorer (top) and Krystal Sea (above), take advantage of bulbous bows, movable and fixed fins for stability, and twin screws protected by skegs. Maybe designers can&apos;t agree on the best get-home system because it&apos;s rarely needed. 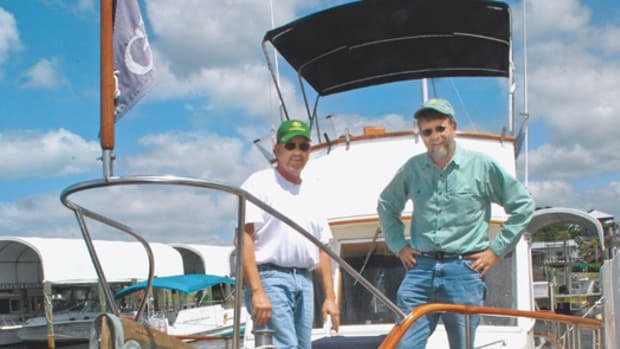 In 2001 to 2002 a crew from Pacific Asian Enterprises, including the Leishman brothers, circumnavigated aboard a Nordhavn 40—172 days underway and more than 24,000 miles—without a major equipment failure. And Bray points out, "Look at the commercial fishing fleet. All are single-screw, no wing engines or come-home engines." 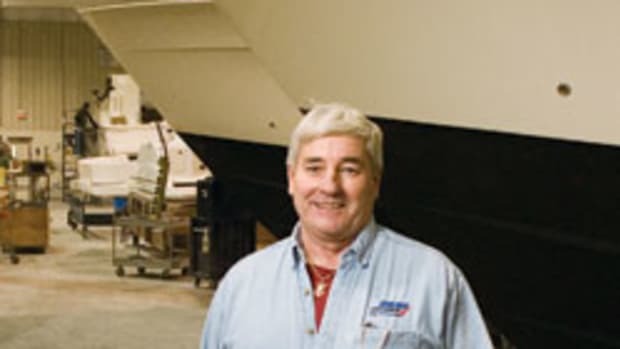 He believes that most main-engine failures are due to dirty fuel or cooling problems, so he recommends keel cooling and good filters. 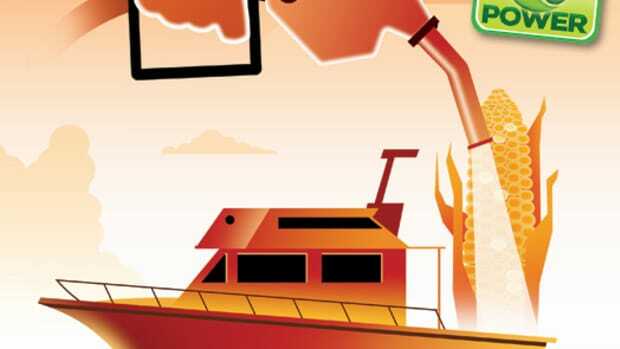 He incorporates a day tank into the fuel system: The diesel moves from the main tanks through Racor filters into the day tank, then is filtered again en route to the engine. 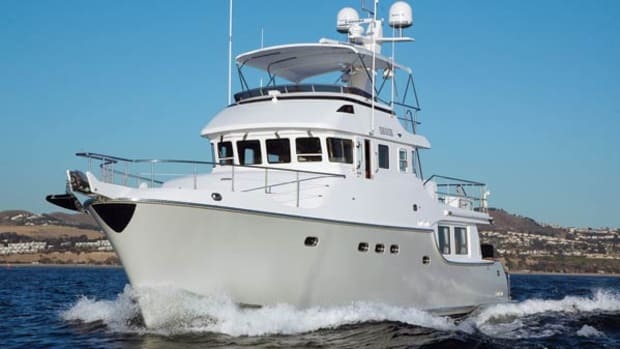 Charles Neville&apos;s classic passagemaker designs set traditionalists&apos; hearts a-twitter: His steel-and-aluminum Neville 47 is the new "gotta-have" boat for serious cruisers. 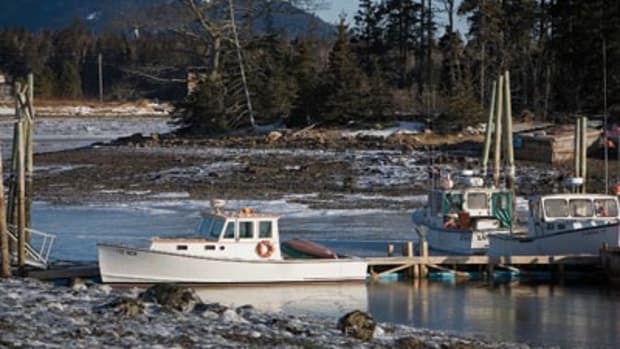 Neville says he&apos;s concerned about using electronic diesel powerplants for long-range work without a backup: "They are designed to shut down to protect themselves if anything goes wrong." In some situations, it would be better for the engine to keep running, even if it was damaging itself. With nonelectronic diesels, going offshore with one engine was no big deal, as long as you carried spares and knew how to do repairs. But if a "black box" goes south on you, sometimes changing it doesn&apos;t solve the problem. As for other passagemakers&apos; concerns, Neville takes a conservative stance. There&apos;s no need for bulbous bows, he says; they work fine on ships but not on smaller boats. Get-home power? A hydraulic motor run off the main genset that turns the shaft. Stabilizers? Go for active fins. Paravanes are a pain to use, dangerous, and not cheap if you build them in a yachty way; bilge keels aren&apos;t all that beneficial. 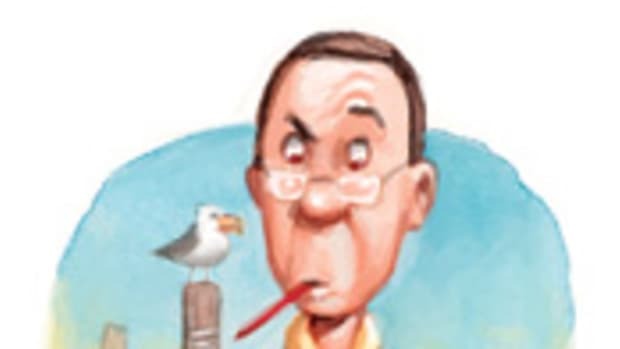 Most mechanical stuff is pretty reliable, he adds; cover the contingency of essential system failures—bilge pumps, engine, etc.—and deal with the rest on an "if it fails, it fails" basis. If all of the above is too confusing, call George Buehler. 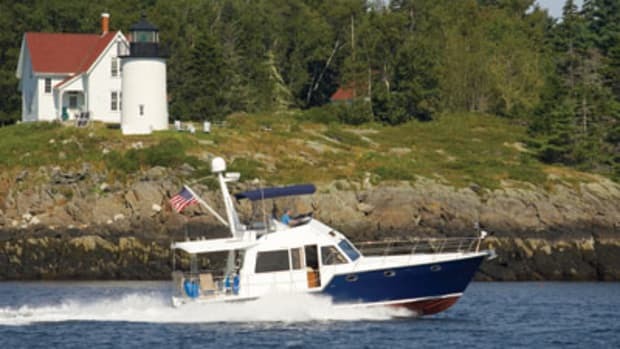 Naval architect Buehler believes in simple, seaworthy, and affordable long-range cruisers. His designs have been built in shipyards, and backyards, all over the world. Buehler bases his passagemakers, including his popular Diesel Duck models, on Pacific Northwest salmon trollers—they&apos;re seaworthy and economical, not as roomy as beamier boats, but able to survive in all kinds of weather. 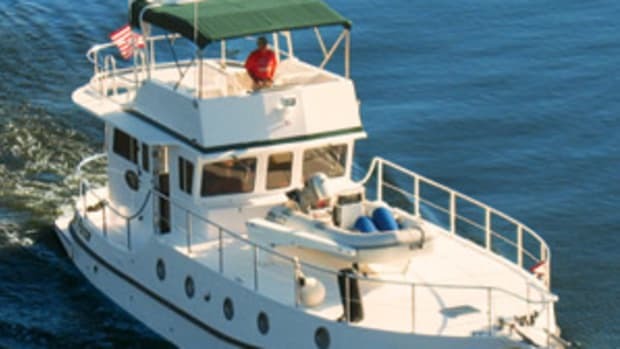 The troller hull requires minimal power and can make long, long passages on not much fuel: A 57-foot Diesel Duck, Idlewild, recently completed a circumnavigation that included not only a traverse of the Northwest Passage but also a 5,000-mile nonstop crossing of the Indian Ocean from Cape Town to Fremantle, Australia, on 1,000 gallons of fuel. Buehler says it&apos;s the longest nonstop voyage of a powerboat ever. Buehler&apos;s Ducks are single-screw, with interesting get-home power: sails. His typical sailing rig uses a mast set well aft, where it can double for lifting gear and the tender, and a roller-furling jib. Buehler calls this a "modified-dhow" rig, since the jib resembles the low-slung lateen sails of those Middle Eastern craft. The sails alone move the boat up to 4 knots off the wind and provide stability when set under power. With the boat at anchor, the mainsail, sheeted in hard, keeps the boat weathercocked into the wind, too. The soon-to-arrive Nordhavn 56MS will also carry sails, a conventional rig intended as an adjunct to the diesel. "It came from taking the 40 around the world," says Leishman. "We saw all those great tradewinds going to waste." The 56MS will have 3,000-mile range under power alone and two or three times as much under sail and power combined. Leishman said a controllable-pitch propeller will let the skipper load the engine appropriately at low rpm when motorsailing. The sails will also provide stability, although American Bow Thuster is developing active-fin stabilizers that will work with them; conventional models try to fight the natural heeling caused by the sails. Two of the boats have already been sold; the first will be launched next year. Maybe this is the start of a new class of passagemaker, and we&apos;ll all have to rethink our dreams.